Playoff Preview: Blues vs Jets - The Point Data-driven hockey storytelling that gets right to the point. Winnipeg stumbled into the post-season having played barely above .500 since the Trade Deadline but this is a team that can’t be taken lightly. Adding Kevin Hayes at the Deadline was a great move and they’ll also be getting back two of their top-4 defensemen, Josh Morrissey and Dustin Byfuglien. Getting Morrissey and Byfuglien back is a huge boost to this team. Their biggest weakness this season has been scoring chances off the rush but with these two back in their lineup, they get their D corps healthy for the first time since December and can shore up this weakness. Morrissey and Byfuglien both play a hard-hitting nasty game that can wear down opposing teams throughout a series. On the offensive side, the Jets scored the 7th most goals in the league this year along with having a top-5 powerplay. 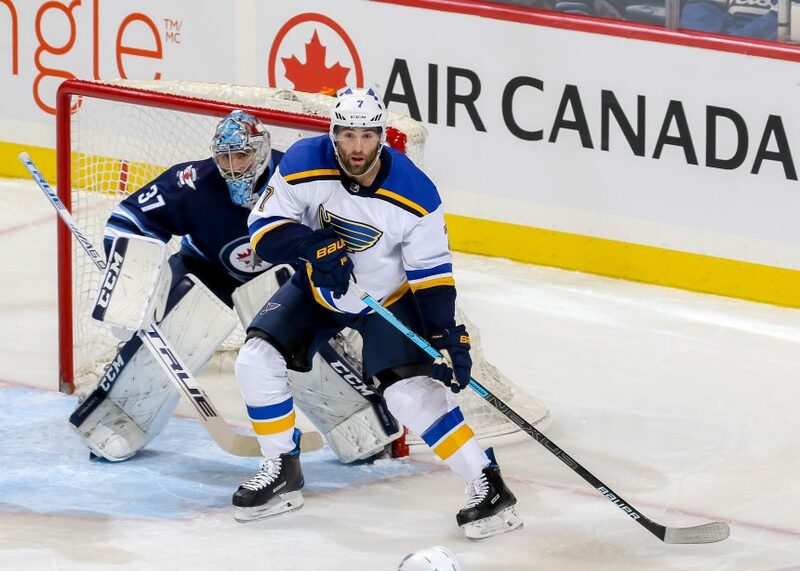 These two teams haven’t faced each other since the Blues turned their season around but one thing’s for sure and it’s that both these teams can play a hard-hitting game. Winnipeg has the added advantage of having put together a strong run last year giving them the necessary playoff experience. On January 2nd, the Blues were dead last in the NHL, since then they’ve had the best record in the league and climbed their way back in it. The Blues might be the scariest possible matchup for any team right now. 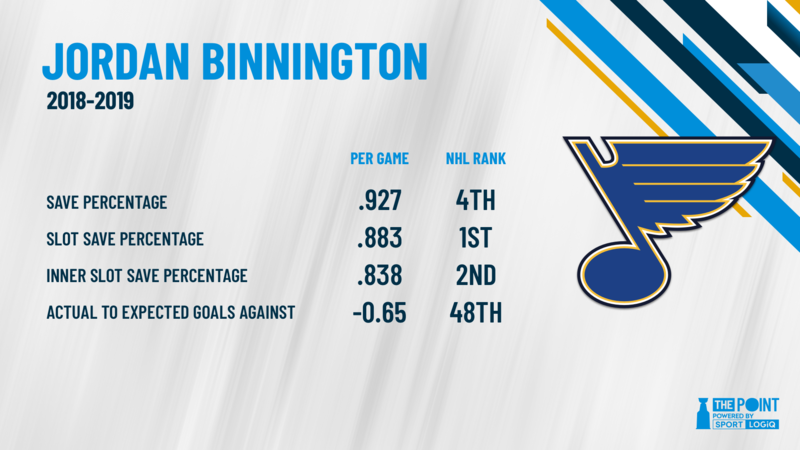 Jordan Binnington’s been a huge addition to their team, putting up some amazing numbers. To go along with Binnington’s play has been the reemergence of Vladimir Tarasenko who was scoring at a 0.6 points per game pace before January 2nd and since then he’s scoring at 1.2 points per game, double the pace. 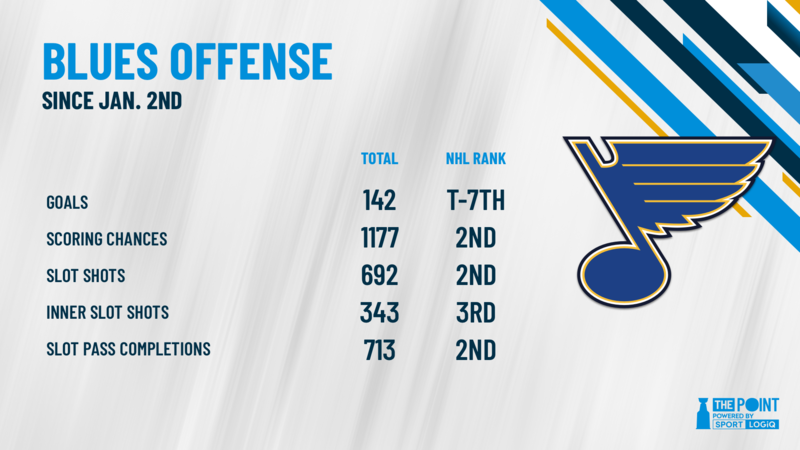 The Blues have been one of the most dangerous teams in the league in the New Year. They’ve created the second most scoring chances and are tied for the 7th-most goals over that time. More importantly, they’ve allowed the 2nd-least amount of goals-against in the New Year. The Blues might be the 3rd seed but if it weren’t for their early season woes there’s a very good chance they would’ve won the Central division.